A post cycle therapy (PCT) is a tool utilized by steroid users to aid in recovery when coming off an anabolic steroid cycle. It is comprised of numerous techniques and supplements to help with the recovery process, both physically and mentally. Hence, the majority of steroid users who do not stay on cycle year round or go through Testosterone Replacement Therapy (TRT) are highly encouraged to run a proper post cycle therapy.Why do I need a PCT? Now let’s say one does decide to run a testosterone base with their steroid cycle. Chances are, they won’t experience these side effects because they are taking in synthetic testosterone. Remember, when the body detects excess testosterone as well as other steroids, it will shut down natural testosterone production. Nonetheless, for most athletes, every steroid cycle comes to an end, which forces the athlete to get the body producing testosterone again in order to avoid the side effects listed above.As stated in the introduction to the series, there are numerous other benefits to running a PCT. Along with restoring natural hormonal levels, the next critical factor of a PCT is to keep the gains made on cycle. To maximize the keeping of gains made on cycle, one must understand all the changes the body is going through when coming off cycle and during a post cycle. If you are not familiar with what a PCT layout incorporates, I encourage you to have a read here. This is the Perfect PCT, which is a post-cycle therapy designed to recover you from almost any cycle.Generally, a PCT will consist of one or multiple SERMS (Selective Estrogen Receptor Modulators), whose primary function is to get the body producing testosterone again on its own. Two of the most commonly used SERMS are Clomid and Nolvadex, both of which do a great job of stimulating the body to produce testosterone. However, they also come with a few side effects, such as emotional fluctuations. Interestingly, this does not happen to all, but many report emotional side effects when using both Clomid and Nolvadex. Therefore, knowing this ahead of time and having the right mindset can really be a deal breaker in the percentage of gains kept. Knowledge is always power!When I refer to the term mindset, what I really mean is the mindset one has when going through a PCT. For instance, many users will have the mindset of “Well, now that I’m off cycle, I’ll just become lazy.” This mindset is often the reason why guys never come off a cycle, and we know that this can lead to serious health risks. It’s true that you don’t have the compounds giving you that “on” feeling, but if you go into and through PCT expecting to give up and fail, then you probably will. This is just a part of the psychological adaptation one is going to have to accept, yet it does not by any means dictate the amount, or level of gains kept. A loss of overall drive is something natural during PCT, mainly because your HPTA (hypothalamic–pituitary–testicular axis) has been shut down. Luckily, a proper and thorough PCT will get your HPTA rolling again and will aid your recovery. Hormonal changes tie into the two previous categories as nearly everything relates to reaching hormonal stability during a good PCT. Our main goals of a post cycle are to maximize the gains kept, and to reach/recover homeostasis – an internal balance in the body. Let’s use The Perfect Post Cycle Therapy as an example.We know that after a cycle the HPTA is shut down, and there is a decline in many anabolic activities, primarily a reduction in total testosterone levels. Remember, testosterone is that alpha hormone that gives that great sense of well being. Next, we have some potential mental changes occurring from the Nolvadex and Clomid use. If that wasn’t enough, we have this psychological factor of not being “on” anymore, which will have an impact on such key hormones as cortisol, dopamine, and estrogen. 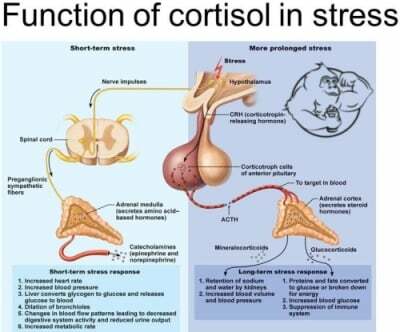 Cortisol is a hormone released from the adrenal gland in response to stress. It is known to be catabolic, so it triggers the process of muscles breaking down. In fact, it is the opposite process to anabolism, which is the building of the muscles. Unfortunately, cortisol levels are often increased when coming off cycle, and it has a negative impact on both testosterone, and growth hormone levels. What's more, high cortisol levels are also linked to an increase in abdominal fat. This is extremely relevant because with all the changes occurring, guys often become stressed out, which will increase cortisol levels. That is why there is such a correlation between steroids and depression. However, the individual has great control over this hormone if they choose to do so. Regarding dopamine, it is a neurotransmitter with numerous cerebral functions, and it is best known for its positive reinforcement effects. Dopamine release gives a great sense of accomplishment and well-being, and studies have shown that androgenic compounds can greatly increase dopamine levels in the body. It is obvious to see that dopamine levels can also decrease significantly if one allows them to. Hence, if you allow these hormones to get the best of you, it can potentially lead to a vicious circle of stress, depression, and other serious side effects. 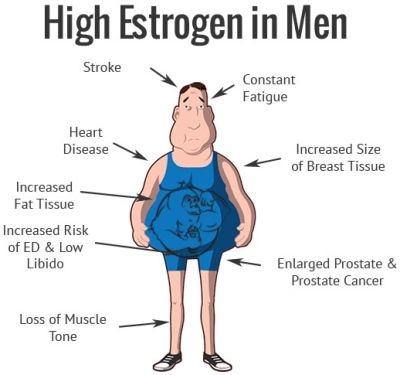 Last, but not least, is the most infamous hormone to males – estrogen. This particular hormone is rather unique because it has both negative and positive impacts on males. Therefore, we want to keep estrogen in a specific range, just like on cycle. If it was properly controlled on cycle, estrogen should not be a concern in PCT. Furthermore, with the use of Nolvadex, estrogen becomes blocked from entering the Hypothalamus and later binding to its receptors. It is important to remember that the objective here is not to completely eliminate estrogen from the body, but to keep it in a range that's considered healthy. In this article, we have discussed numerous changes going on in the body when coming off an anabolic steroid cycle and on through a post cycle therapy. Whether these changes are physical (such as testicular atrophy) or psychological (loss of motivation), understanding these changes and chemical reactions is critical. In spite of the fact that this far we have made PCT sound rather terrible, you need to keep in mind that precisely a successful PCT is what allows one to keep more of their gains, reach a hormonal balance, and protect overall health and well being.